The Academy of professional accountant (TALLY POINT) is the reputed institute in eastern UP .This is the best institute for those students who want to make their career in accounting and finance. Here candidates get the opportunity to prepare the live accounts of business establishments by visiting directly or otherwise. This helps them to gain experience and confidence as a virtual troubleshooter. Besides these the candidates are instructed and trained by Accounts professional which have more than 12 year experience , tax practitioners, etc. The training is programmed to provide vast knowledge in a wide spectrum ranging from trading, manufacturing, hire purchasing, financing, hospitals, schools, colleges to even film divisions. Once manual accounting proficiency is attained the candidate can easily achieve accounting knowledge in various accounting software’s. The training program includes practical with latest versions of various computer accounting software. We provide accounting practice in live reputed business establishments. Needless to say, that you will get a different experience in the The Academy of professional accountant (TALLY POINT) than other institutes. The Academy of professional accountant is the best computer institute in eastern up, which offers its students an inclusive computer training from the industry experts. 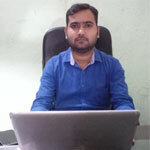 Join us to pursue computer courses in Gorakhpur and get extensive practical training on live projects and stimulations. We at The academy of professional accountant have helped a lot of students to secure the job of their dream by providing them the most advanced training from the well experienced and educated faculties. Our faculties are specialist corporate professionals who provide the in-depth knowledge to the students.